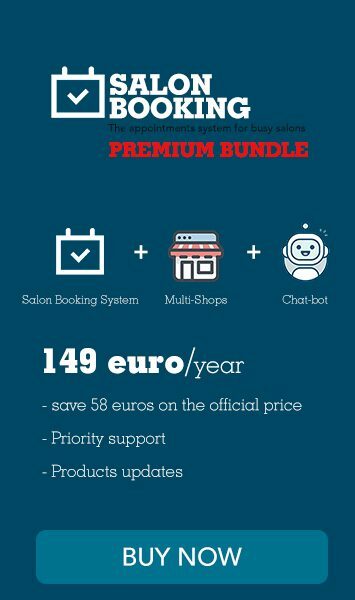 A new version of Salon Booking System plugin is ready. This parameter specifies that the custom field belongs to the customer profile. So it will be saved inside the customer profile section on back-end, and on customer profile data tab on front-end inside the “Booking my account” page. Now when you switch to “Assistant view” this option will be saved and kept for the next sessions.